From one edition to the next, the event program overview is an indispensable decision-making tool. Today’s lessons learned become tomorrow’s improvements. Sent invitations vs. needed. It’s usually a good idea to send around 30% more invites than the number of positive replies you’re aiming for. Accepted invitations vs. needed. Keep track of confirmations to kick things off, act quickly by sending reminders or new invites if the case. 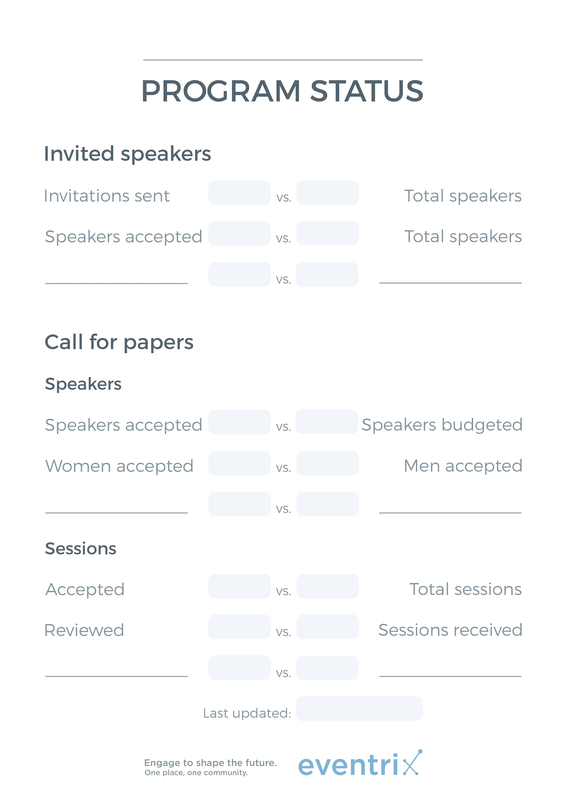 Additionally, you could measure engagement of speakers who decline to attend, but offer recommendations for other relevant speakers. Accepted vs. budgeted. 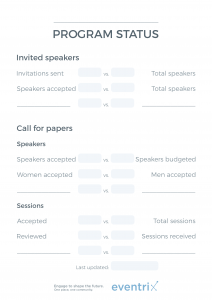 Accept 10 international speakers with one session each or 5 with multiple sessions? Accepted vs. needed. How close is the program to reaching the maximum number of sessions? Reviewed vs. received. Is the organizing team up-to-date on reviewed sessions? Are speakers waiting too long to get feedback? Reviewed weekly or even daily in the early stages of program creation, the Program Overview brings visibility for everyone involved. Find it useful? Download your ready-to-use template. 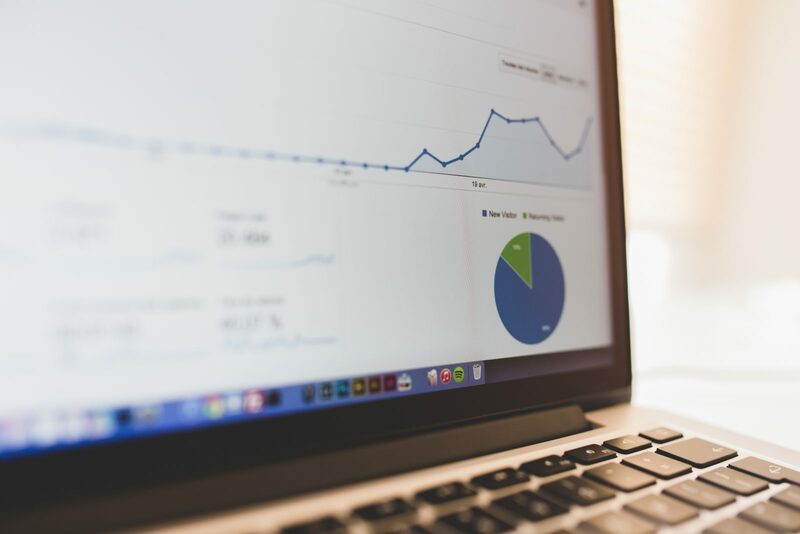 What other key indicators do you measure? Thank you for sharing pointers in the comments or on Twitter at @eventrixco.